Three land trusts — Colorado Cattlemen’s Agricultural Land Trust (CCALT), Ranchland Trust of Kansas and Texas Agricultural Land Trust — are working together to increase awareness of conservation easements and other conservation options in the private ranching communities of Colorado, Kansas, Texas and Oklahoma. The private ranchlands in these areas support some of the largest remaining viable populations of the Lesser Prairie-Chicken, as well as many other wildlife species that depend on prairie landscapes. With the help of a two-year, $200,000 grant from the National Fish and Wildlife Foundation, the land trusts are reaching out to ranchers to let them know about conservation opportunities that can help protect important wildlife habitat, preserve working lands and help with estate planning. Since most of the land in the Lesser Prairie-Chicken range is in sparsely-populated areas, promoting conservation easements has been difficult for the land trusts working in these areas. In urban areas where the population is increasing, there is more development, and thus more interest in preserving natural areas and wildlife habitat. However, in rural areas, where these private ranchlands are found, there is much less pressure from development, so the benefits of conservation easements aren’t as apparent as in other more urban areas or areas that are influenced by recreation. By capitalizing on the broader interest in Lesser Prairie-Chicken conservation, these organizations are able to bring attention and resources to this landscape in a way that makes conservation more appealing to agricultural landowners. One of the outreach tools being used is informational workshops that allow landowners to hear from a variety of experts on topics ranging from real estate to energy development. The Texas Agricultural Land Trust hosted an Amarillo landowner workshop titled “Saving Family Lands” in early October. Participants learned about the voluntary conservation easement and how it may benefit a family’s farming or ranching operation; the conservation easement as an estate planning tool and its use in mitigation banking, appraisals and valuation; and how oil and gas development can work with a conservation easement. Participants had the opportunity to ask questions of Panhandle landowners, attorneys and appraisers who have experience with conservation easements. CCALT also held two landowner workshops in Colorado this year as part of the grant — one in Springfield, and the other in Sterling — as well as a small informal gathering of neighbors invited by a landowner in southeastern Colorado who is in the process of closing on a conservation easement. Even when there is interest, completing a conservation easement takes time. From the first introduction at a workshop to the closing of an easement can take several years. Once a landowner decides to proceed, there may be fundraising needs, not to mention the real estate transaction and drafting the easement. But the first step is to start a conversation. Through the workshops, landowners have the opportunity to learn about various conservation easement programs, including government conservation programs. They can also question US Fish and Wildlife Service biologists about what it means if the Lesser Prairie-Chicken is listed on the Endangered Species List and how that will impact them as landowners. According to Glenn, workshop participants appreciate knowing what tools and options are out there and who they can contact for more information. 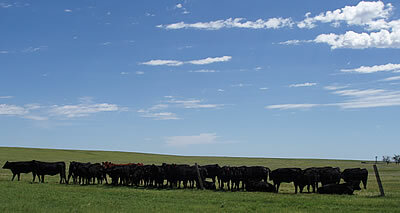 Colorado Cattlemen’s Agricultural Land Trust, Ranchland Trust of Kansas and Texas Agricultural Land Trust will continue to host workshops in 2014. Please visit their websites for more information and to view some of the presentations from the Amarillo workshop.